This is just a reminder to not miss the best deal on detergent this week! 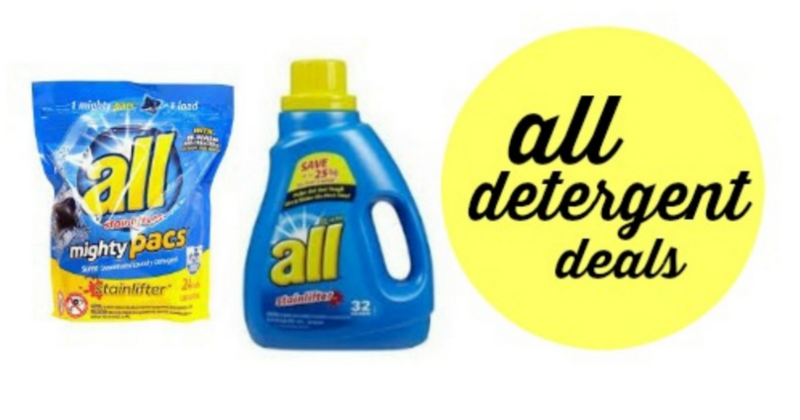 Head to Walgreens and get All detergent for only 99¢ a bottle or bag after 1 coupon and rewards. Even if you have no coupons, it’s still only $1.49 and a great price. Tip: If you have Balance Rewards you can use them to pay and still get more rewards back! See all the other deals at Walgreens this week.